A hybrid, by definition, is a mixing of two elements to create something that was not there before. 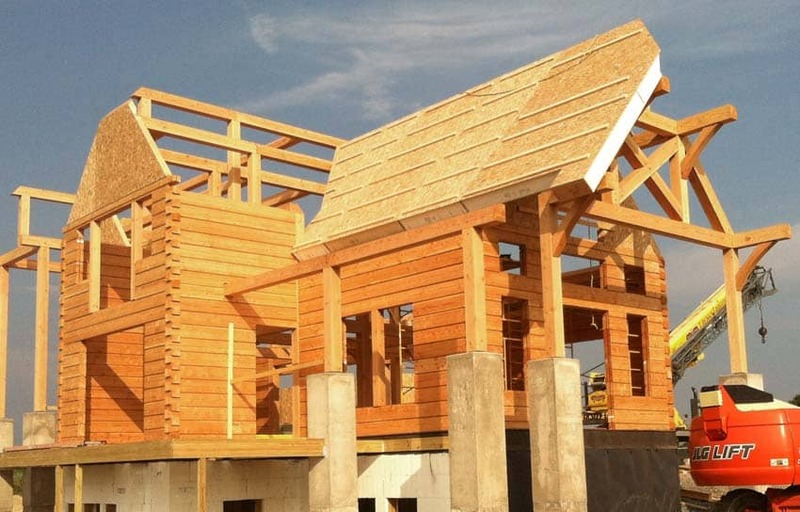 A PrecisionCraft hybrid log and timber home blends two or more of our product lines to create homes with a distinct flare. Timber-framed great rooms flow effortlessly into log-walled dining rooms. 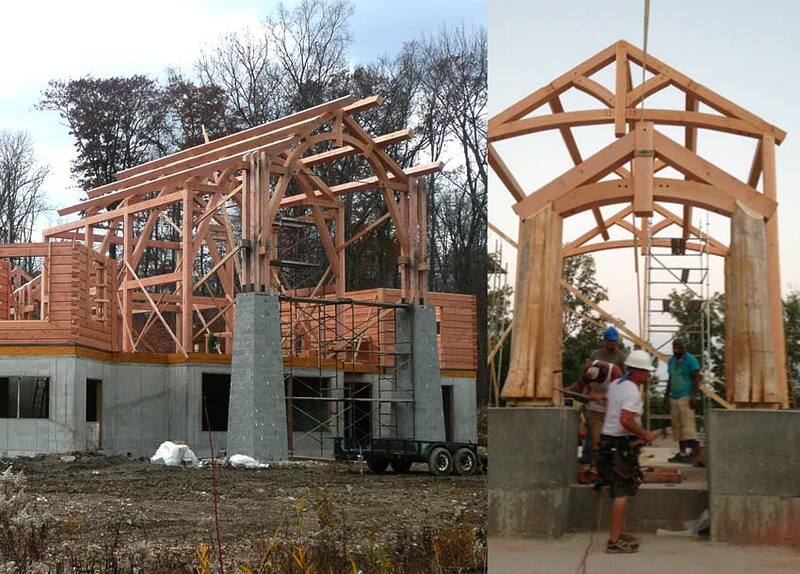 Handcrafted posts support custom timber trusses over a one-of-a-kind entryway. 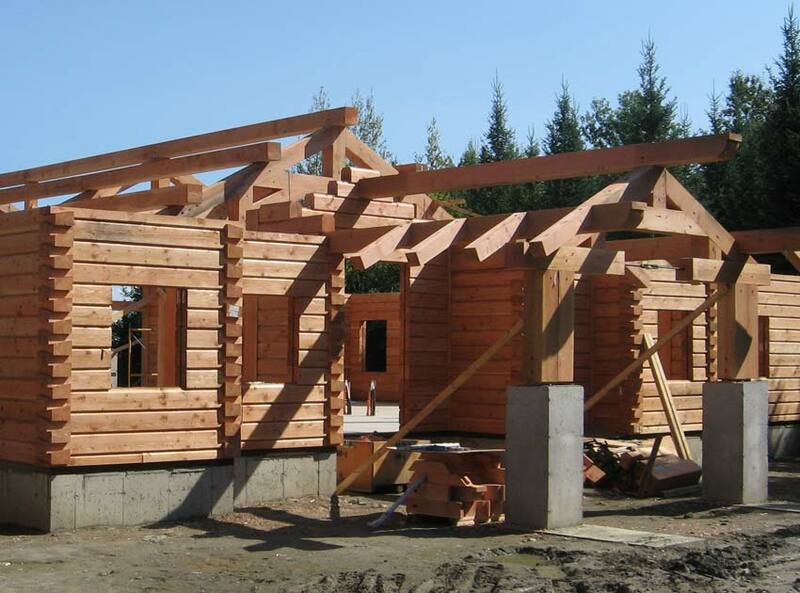 These are just a few of the possibilities when building a PrecisionCraft hybrid log and timber home. Handcrafted elements of the design are produced, and if necessary, the prefabricated timber is used to ensure a perfect fit where they are to be connected. 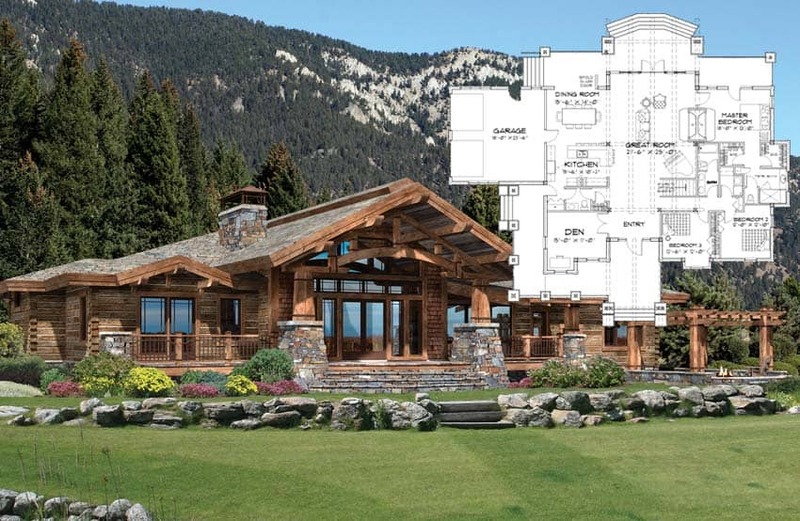 Use our in-house design group, M.T.N Design, to create drawings for your custom hybrid log and timber home. We have the expertise to incorporate our hybrid building system into your design concept. You can also browse our floor plan gallery to get ideas. Each of our plans were originally imagined using one of our product lines, however, ANY of our plans can be redrawn as a hybrid log and timber design.